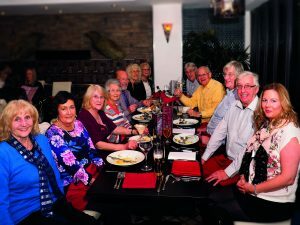 Members and Guests wanting to join our ‘Dining Club’ will be made very welcome. There is no joining fee and you only pay for what you eat and drink. It is also an opportunity to meet and enjoy other people‘s company. If you would like to join us do get in touch; Phyllis or Rebecca would be pleased to hear from you. 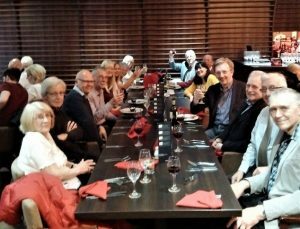 On an earlier occasion this year some members of the Regional Association of Civic Societies (YHACS) joined us at the Grille Steakhouse. Other venues have included The Glasshouse, Parker’s, Pasha’s and Red Ginger.